Lindenhurst is an incorporated village that is situated in the town of Babylon in Suffolk County, along the southern shore of Long Island. According to the 2010 census, more than 27,200 people resided in Lindenhurst, with more than 8,600 households located in the village, and approximately 7 people living in every square mile. Many of the people who live in Lindenhurst commute to Manhattan or other areas to work. 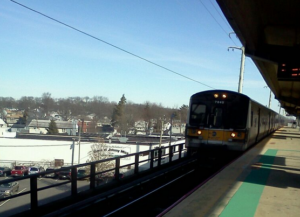 While there is mass-transit available via the Long Island Rail Road, it is limited, which means that most commuters do have to rely on their cars for transportation. Likewise, residents of Lindenhurst have to drive regularly to completely daily errands, such as taking their children back and forth to school and extracurricular activities, grocery shopping, and for other everyday activities. As in any other location in New York and the rest of the country, the cost of car insurance does vary from motorist to motorist. However, a female driver in her 30s with a clean driving record (no accidents, traffic violations, or license suspensions) and a reliable car can expect to pay approximately $90 a month for her auto insurance coverage. That cost is for basic coverage that meets the New York State minimum for auto insurance requirements; $25,000 for bodily injury to one individual, $50,000 for bodily injury for two or more people, and $10,000 for property damage in a single accident (or 25/50/10). The cost, of course, as we stated, varies for each individual and is based on the driver’s record, the number of years he or she has been driving, the type of vehicle that the motorist is insuring, the amount of coverage that is being purchased, and the primary purpose for driving. The price of coverage will also vary from insurance provider to insurance provider. On average, the annual cost of auto insurance in Lindenhurst, NY is just under $1,300 annually, while on the high end, it’s just over $3,000 a year. The average cost for annual car insurance coverage in this Long Island town is approximately $1,940. Drivers who reside in Lindenhurst can save a substantial amount of money by comparison shopping and getting multiple quotes from various providers. Therefore, it is in your best interest to research before committing to the first quote you receive. To find cheap auto insurance in Lindenhurst, please contact one of the trusted agents below, or enter your zip code above to get a free quote.